NAIDOC week is here, and it’s a fantastic time for us to honour the achievements of the owners of our land. 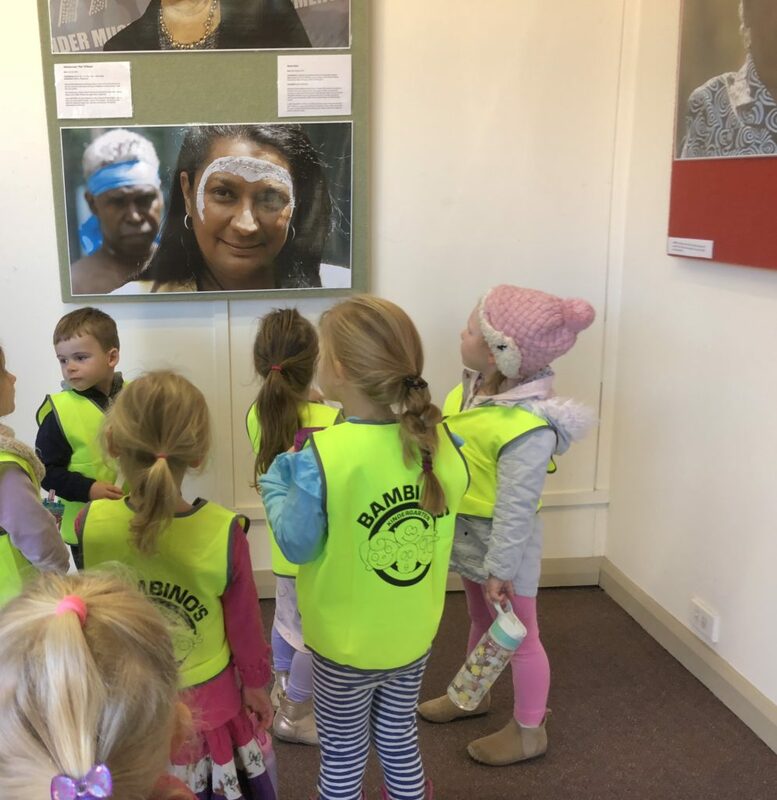 On Monday 9th July, a group of preschool children from Bambino’s Kindergarten in Bowral Street went on an excursion to the Wingecarribee Shire Council. Community involvement is extremely important to us. So, it was great to have the opportunity to participate in the NAIDOC Week celebrations. The celebrations began with a ceremony that outlined the theme for NAIDOC Week. At the council, we met two wonderful ladies, Melissa Wiya, who is the Aboriginal Community Development Officer and Aunty Val. Togeher they discussed with us the the ways in which Aboriginal and Torres Strait Islander woman have worked and fought tirelessy for justice, equal rights, employemnt and access to education. Once the ceremony had finished, the children enjoyed a picnic lunch at Leighton Gardens. 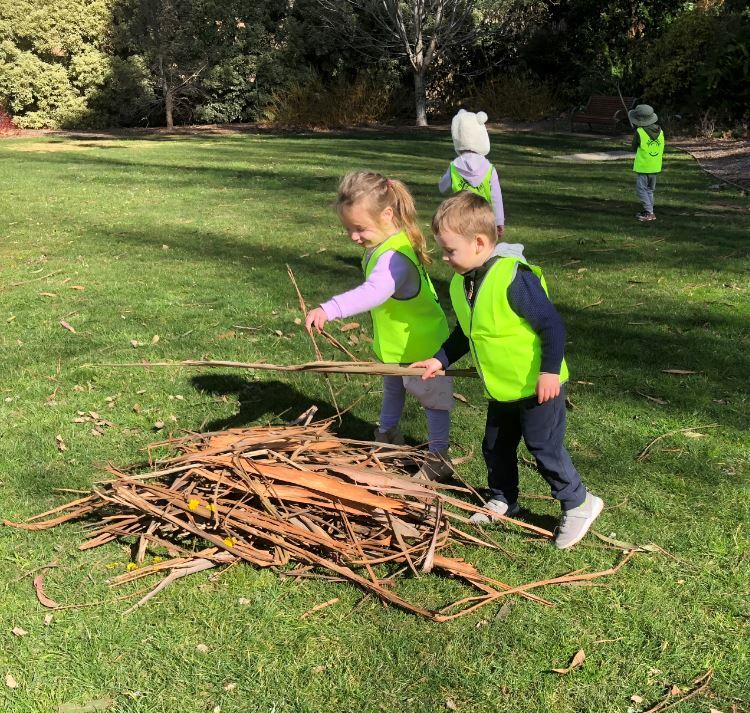 While there, they went exploring in the gardens to see what they could find. We then walked back to the Council grounds to see what activites had been set up. 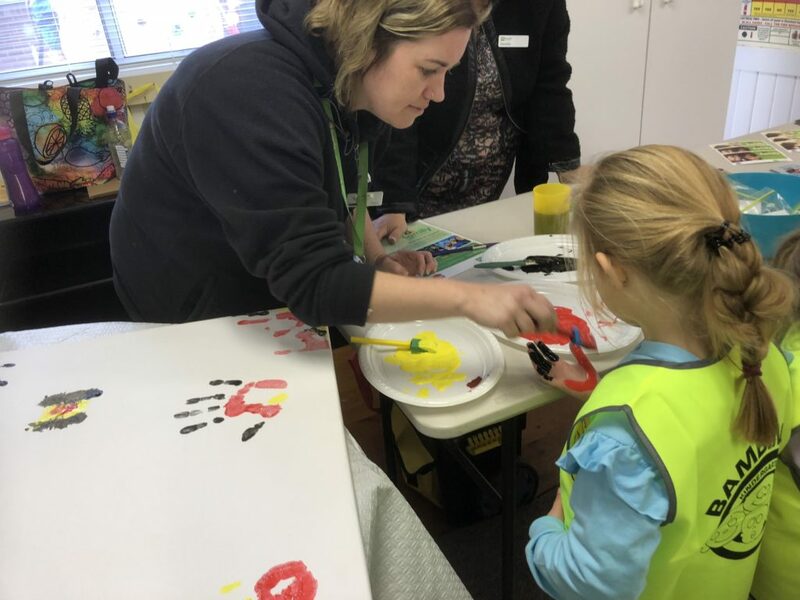 The preschool children had their hands painted in the colours of the Aboriginal flag and made beautiful hand prints on a canvas. What a fantastic morning we have had taking part in NAIDOC Celebrations with members of our local community! We can’t wait to extend on these learnings in centre.